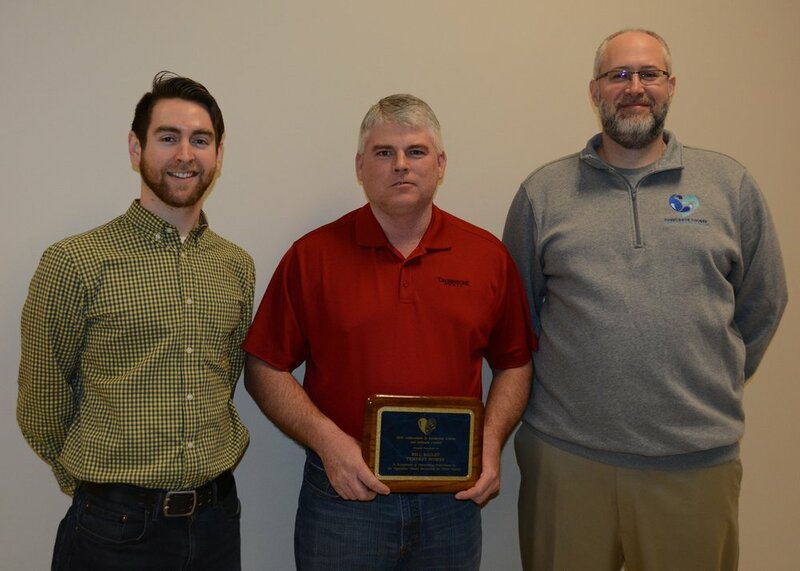 Tippecanoe County Partnership for Water Quality (TCPWQ) has presented awards to two contractors for their exceptional efforts in construction site erosion control for 2018. The purpose of the awards is to recognize contractors that excel in their efforts to prevent pollution from entering streams and rivers in Tippecanoe County while they are building construction projects inside the County. The award winners are as follows: Residential: Bill Bailey from Tempest Homes and Commercial: Jerry Dahnke from Providence Construction. Tippecanoe County Partnership for Water Quality (TCPWQ) has presented awards to three contractors for their exceptional efforts in construction site erosion control for 2017. The purpose of the awards is to recognize contractors that excel in their efforts to prevent pollution from entering streams and rivers in Tippecanoe County while they are building construction projects inside the County. The award winners are as follows: Commercial Project, Byard Beaver, Nate Secrest from Kettelhut Construction, Inc. and Public Works Project, Chad Kuns from F&K Construction. Pictured above: Marcus Smith of TCPWQ/ Byard Beaver and Nate Secrest of Kettelhut Construction, Inc/ Zach Beasley TCPWQ. 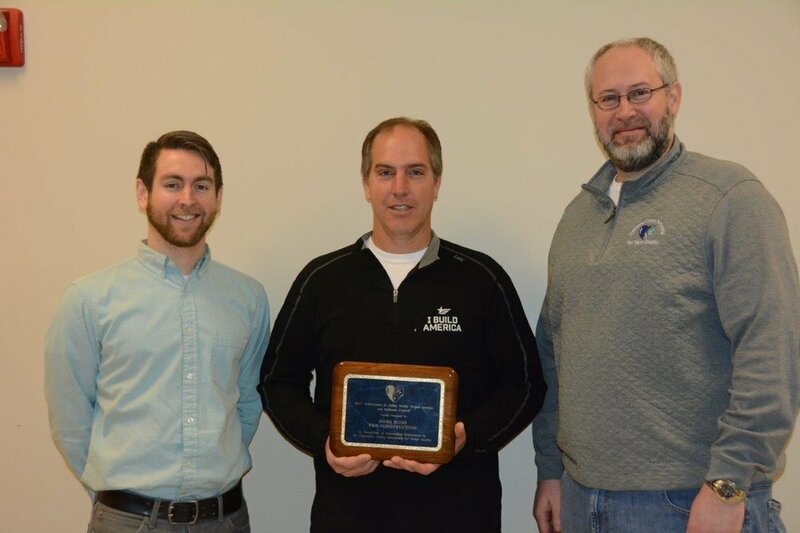 Tippecanoe County Partnership for Water Quality (TCPWQ) has presented awards to three contractors for their exceptional efforts in construction site erosion control for 2016. The purpose of the awards is to recognize contractors that excel in their efforts to prevent pollution from entering streams and rivers in Tippecanoe County while they are building construction projects inside the County. Pictured above: Marcus Smith of TCPWQ/West Lafayette and Josh Guerin of Rieth Riley Contractors. Tippecanoe County Partnership for Water Quality (TCPWQ) has presented awards to four contractors for their exceptional efforts in construction site erosion control for 2015. The purpose of the awards is to recognize contractors that excel in their efforts to prevent pollution from entering streams and rivers in Tippecanoe County while they are building construction projects inside the County.